Surrey Satellite Technology US LLC (SST-US) has expanded its e-commerce product offering to include space-qualified satellite platforms. 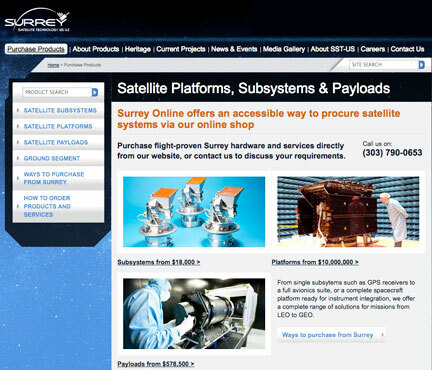 In August of 2010, SST-US officially launched its e-commerce website Surrey Online to offer its customers the ability to purchase Surrey’s off-the-shelf satellite subsystems directly online. 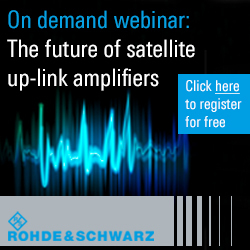 Now, SST-US has taken the next step — an industry first — and has also made its satellite platforms available for purchase online. Satellite platforms now available at Surrey Online include the SSTL-100, SSTL-150, SSTL-300, and SSTL-600. These four baseline platforms deliver a comprehensive range of payload and mission capabilities from 15 kg/24 W to 200 kg/400 W, from low orbit earth (LEO) to geosynchronous (GEO), and can be modified to accommodate mission-specific requirements.